Rent Big Picture | Corporate Events | Wedding Locations, Event Spaces and Party Venues. Entertain your guests before the movie in posh comfort in our swanky Living Room featuring plush couches and club chairs. Also included is your own personal Dining Room with a gleaming teak dining table. "VIP Party Package" includes: 2 VIP spaces for up to 2 hours before the start of the scheduled movie, two buckets of popcorn, your first 8 movie tickets and reserved seats. Up to 12 additional tickets may be purchased for a maximum guest count of 20. 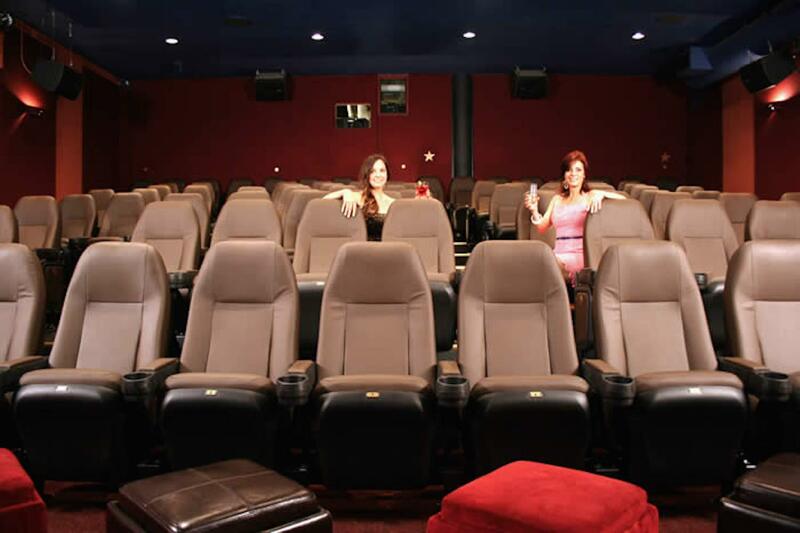 Theater seats will be reserved for all of your guests. Food and beverages are in addition to the package fee. VIP Party Package Cost: $175 Package timing: Guests may start arriving 2 hours before the advertised showtime. All guests must be 21+. Say hello to comfort. Animal print couches, club chairs, deco accents and space to accommodate a white board make for a relaxed approach to casual business meetings or social get - togethers. The centerpiece is a gleaming teak conference table with seating for twelve. A high ceiling with dramatic draping softens the mood. Wireless internet and plenty of wall space for white boards and brainstorming notes allow you to get the job done. Appropriate for business meetings and private dinner parties. Capacity 12.